There was good news from Geneva recently: 140 countries have now agreed to the global mercury treaty, several years in the making. Once ratified by 50 nations, it will become legally-binding. Its main goal is to reduce mercury emissions, and to that end, it includes steps toward a phase-out of dental amalgam. 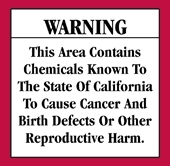 Similarly good news came from Sacramento this week: the state Environmental Protection Agency, Cal/EPA, announced their intent to declare BPA a reproductive hazard. This means it would become subject to Prop. 65 requirements – the same rules that require dental offices to display warnings about the presence of mercury in amalgam. No, it’s not a ban, but it is a step in the right direction – just as the mercury treaty is a step in the right direction. Yes, the treaty could be stronger. Still, it’s the broadest acknowledgement yet of the hazards posed by “silver” fillings and does require some action. Of course, many dentists, biological and conventional alike, have already stopped filling teeth with amalgam, opting for composite instead – the stuff used for sealants and “white” or “tooth-colored” fillings. Unfortunately, some brands of composite contain BPA. So now you sometimes hear mercury’s defenders say that since BPA is a toxin, too, what does it matter? Why not just keep placing amalgam? Yes, BPA is a toxin – a known endocrine disruptor that’s been linked to conditions like cancer, heart disease, kidney disease, diabetes and erectile dysfunction. Its ability to alter reproductive hormones endangers fetuses and infants, and a leading cause of the recent spike in cases of early onset puberty, especially for girls. strong and durable, less prone to fail and certainly more aesthetic. Placing composite is also a less invasive procedure than placing amalgam, letting you retain more natural tooth structure. More natural structure means a stronger tooth, as well. We also have the help of compatibility testing. Through blood serum, electrodermal screening and other methods, we can identify materials best suited for any particular patient – meaning, also, the healthiest. Always, the health of the patient comes first.